On the Tuesday, April 19th 2016 transmission of the Alex Jones Show, a critically-acclaimed viral rap song threatens riots and the assassination of Donald Trump if he wins the presidency. Meanwhile, the GOP frontrunner doubles down on calling for the redacted 9/11 documents to be released. On today’s show, Smashing Pumpkins frontman Billy Corgan visits the studio to discuss his views on political correctness and more. Researcher and director of the controversial film “Vaxxed: From Cover-up to Catastrophe” Dr. Andrew Wakefield also joins the show to break down the Tribeca Film Festival incident, actor Robert De Niro's support and the ongoing fight for vaccine awareness. We'll also take your calls on today's worldwide broadcast. Tags: 1st Amendment, Billy Corgan, Corporate media, Dinosaur Media, freedom, Freedom of Press, Freedom of Speech, Mandatory vaccination, Media, Media Control, propaganda, Vaccination, Vaccinations, Vaccine Damage, vaccine injuries. 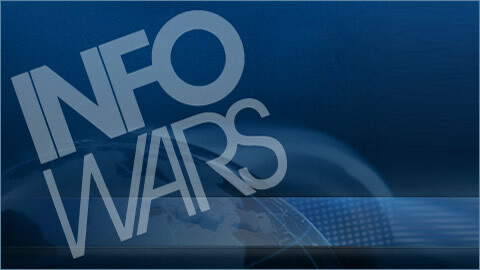 Friday: The Infowars Nightly News. Foreign Tensions, Earthquakes,Protests and Lying Presidential Candidates.